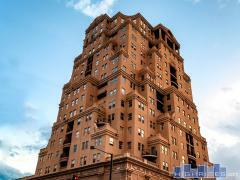 150 Madison is a newer (2007) luxury condominium building with only 29 well-appointed homes. One unique feature at 150 Madison is that according to the developer there are no shared common walls. Finishes are very high-end and include 14-foot ceilings, steam showers, wine chillers, large patios and gourmet kitchens. Have any comments or questions about 150 Madison? Ask your question and/or share your thoughts about this Building.